Google Wave, a complete collaboration tool launched by Google has reached a point from where neither success nor failure is guaranteed. Though many users including Google fan-boys hate the collaboration tool launched by Google, there are still some who seem to use it regularly. The slow, buggy and incompetent UI brought sadness to a lot of users. Google still seems to be working on the project. It has brought in Extensions for Wave in the hope that it would improve the user interaction and would probably win back the hearts of at-least some. 1. AccuWeather.com – Install this extension and you could share the weather of your location or any other location with your friends and colleagues. The extension would ask you for a zip code, on entering which it would display the weather of that area. By determining the weather of a location, you and your friends could decide whether to meet there or not. 2. Goo-gly – This Extension uses the Google URL Shortening Service to shorten URL’s inside Wave. Highlight a URL in Wave and use this to shorten it. Works flawlessly! 3. Word Count – An excellent little extension which displays the word count of the selected words. If you are writing an article with your friend and need to put a Word Count at the end, nothing could be better. 4. Grocery List – Allows you to create the list of products which you have to purchase. Has three bars – Quantity, Name and Notes. 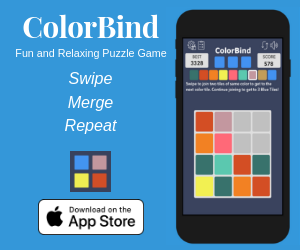 This could also be used as a task manager for managing your daily tasks. 5. Draw Board for Google Wave – Let’s you draw in Wave, just like paint. Share with users and even draw together. It offers basic features like brush, pencil, eraser, paints etc. Do let us know about your favorite Google Wave Extension. Now you could drag and drop attachments from your local computer to Gmail without ever hitting the attach button and then browsing for your file. This feature is also available on the Mail application on a Mac. Just open the folder which contains your file and drag the file to the compose mail box. 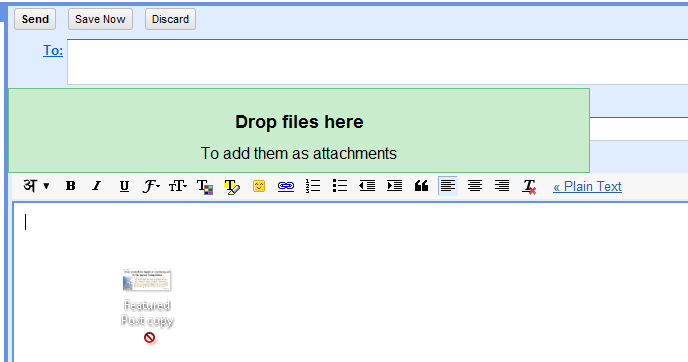 Gmail would recognize your attachment and would come up with a message advising you to drop your file in the box. Just drop it and the file would be attached. The Gmail Team plans to enable this feature on other browsers too, but currently it is only active on Google Chrome and Mozilla Firefox. Google Docs, a free web based online word processor, spreadsheet, presentation, form and even cloud storage just got updated. Google is releasing preview versions of the new Google document and spreadsheet editors and a new standalone drawings editor, all built with an even greater focus on speed and collaboration. The new version tries to make Docs faster and brings real time editing experience to documents. Google has even brought another feature from spreadsheets to documents : Sidebar chat, which lets you chat with your friends and colleagues and together work on a document. Spreadsheets is now faster than before with speed and performance improvements. Also, Google says that come May and for the foreseeable future, users will no longer be able to work with Google Docs offline. Google Buzz is now incorporated within Gmail. If you go to Gmail from your Android or iPhone browser you would see a Buzz bar below the inbox bar, just as you would observe in the desktop edition of Gmail. 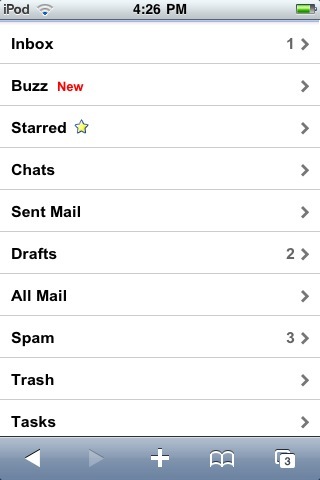 When Buzz was launched, Google had a web app of Buzz for mobiles, but now you could access it right from your inbox. When you open a Buzz post from your inbox, you can perform all the standard functions, such as liking the post or commenting, just as you can from the desktop Gmail inbox. 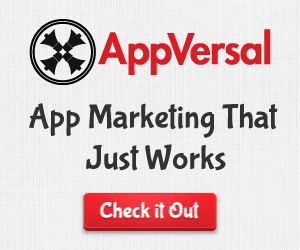 You could try it by simply navigating your iPhone or Android browser to gmail.com . Episodic, a complete online video platform for broadcasting, measuring and monetizing live and on-demand video content to the web or any web enabled device has now been acquired by Google. Add Episodic to the list of recent Google acquisitions which include Aardvark, reMail and Picnik. Episodic brings great video experience to the web, mobile phones and IPTV. This acquisition could possibly be for Google’s rumored Google TV. We are thrilled to announce that Episodic has been acquired by Google. The entire Episodic team is extremely excited about this new partnership and what it means for our customers and the evolution of online video. The Episodic team will join Google and continue its work to bring a great video experience to the Web, mobile phones and IPTV devices. There will be no interruption in service for existing Episodic customers. At Episodic, we have always felt that these are the very early days of online video and that there is far more growth to be had. To put it in perspective, our industry is barely 15 years old. We’ve just received our learner’s permit, we still can’t drive without adult supervision and we’re certainly not old enough to buy a drink…legally. From our earliest discussions with Google, it was clear that the teams shared this belief and together we obviously see huge potential in online video. Our product visions were also complimentary and together we will continue to produce innovative video technology for our customers and their viewers. Speaking of our fabulous customers, we want to thank you all for your support and your willingness to experiment and sit on the bleeding edge with our team. We can’t wait to show you all what’s coming. The Google mobile blog has announced its plan about Google services on the iPad and other tablet computers. As the shift of interest of the people from desktops and mobile phones to tablet computers is evident, Google has chosen to optimize the interest to give people a better Google experience. All Google services including YouTube, Google Docs and even gmail are now optimized for the iPad and other tablet computers. gmail looks exactly like the default iPad mail and has your inbox on the left and the mail selected is on the right. There is no better experience than using the native mail app on the iPad to check your mail; so gmail optimization is nothing very exciting. There is already a default YouTube app on the iPad which gives a better experience than the web app. Then comes in Map. You even have a maps app for the iPad which is very robust and has a great UI. Google plans to use and promote the new HTML 5 web standard and is encouraging people to use it. The optimization of Google services for tablet computers would rather not be a success for Apple’s iPad, but yeah, it could help on other upcoming Android based tablets. This gives us a hint that maybe – just maybe Google is coming out with its own tablet. 1. Google Docs gadget – It previews Google Docs below the chat box. It shows the top five last edited docs.You could click on a doc and it will pop it up in a new window . Built right into your inbox it keeps you up to date with Google Docs. In-case you have created a form and are asking people to fill it but on a single day you forget to check docs, the inbuilt preview would remind you of it. 2.Back to Beta – Adds the super popular BETA tag back to Gmail. We all know how famous Google is for it’s BETA tags. If you loved to be greeted by the familiar BETA text in silver, then just enable this. According to the author, it soothes your soul.Yes it does! 3.Green Robot – It shows how many of your friends are chatting with their android phones and how many are up from their computers. If they are using their Android phone for chatting then their status icon would be the android green robot . This could help you chat more precisely . For example, if you see that your friend is up from his android phone, you could send him shorter messages so that he could cope up with you. This does a pretty good job but sadly their isn’t one for the iPhone. When launched this lab feature was not helpful because hardly people owned an Android phone. But with the Nexus One hitting the roads, this must be enabled. 4.Undo Send – One of the most advanced labs feature yet. If you wanted to send an email to your friend named John but instead sent it to your boss also named John, then only this could help you. You could undo your sent emails. After hitting the send box this lab feature waits for 5-10 secs and if you want you could undo the sent message. I experimented with it a bit and sent obscure messages to my alternate email addresses, before five seconds I hit the undo button and none of my other emails had those mails. 5. Picasa previews in Mail – Preview your Picasa pictures in your mail. You could preview the photos in your mail whenever you receive an email with a Picasa link. 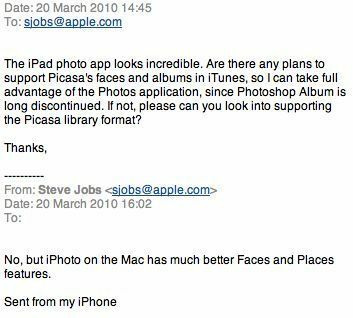 Jobs feels that iPhoto is much better than Picasa . It would have been great if the iPad could support Picasa. 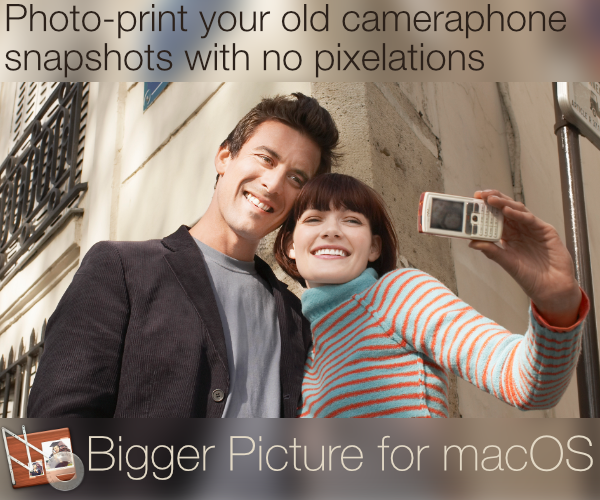 Then you could transfer pictures to the iPad using the camera connector and upload it to your Picasa web albums. Steve Jobs sent this email from his iPhone. Hey Steve, what about the iPad? 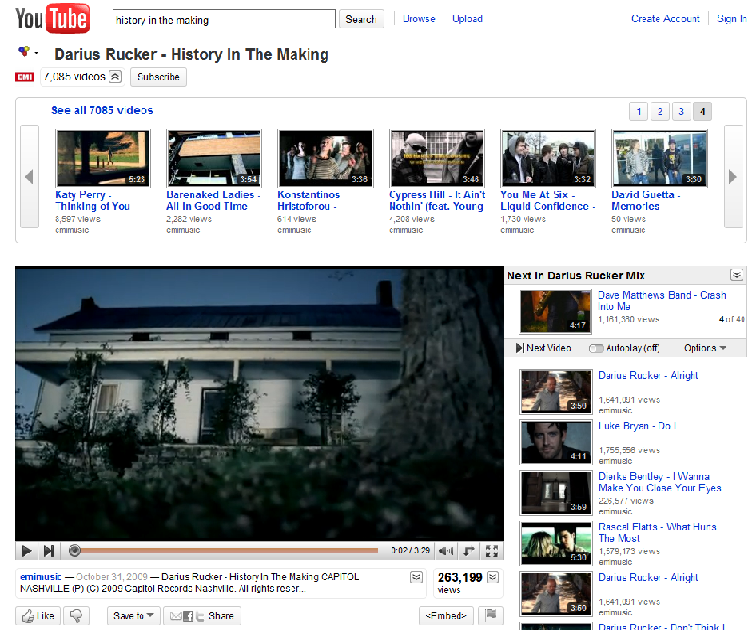 YouTube just got a makeover. Now it a lot more cleaner and simpler. The subscribe button which was on the right corner earlier is now on top and the forward icon is a bit changed too.Clicking on the forward icon will play the next video posted by the author. This version of YouTube was earlier observed in Internet Explorer version 8.0 and now it is even in Mozilla Firefox and Google Chrome. The name of the person who has uploaded the video along with the number of videos he/she has uploaded is beside the Subscribe button on the top and all menu bars have got a drop down sub-menu. If you click on to check other videos from the same author, the videos are displayed in a cover flow style(kind of). Comments bar is also new, you’ve got the highest rated comments on top and then the rest. If you want to rate a comment or report abuse it or reply to it you need to move your mouse over it and you’ll get a whole new set of options to choose from. Update : Earlier this view was only available to BETA testers but now it is available to all.